Joe and his wife, Carla, talked about it when she got the news – she didn’t want chemo. She didn’t want chemicals to destroy her body. She made that clear to Joe. Her father went through something awful when he got cancer and she just didn’t believe in those poisons. And they had done their research — how much does chemotherapy actually work for cancer of the stomach? There was only one acceptable option – treatment had to be “natural.” They considered a trip to Mexico for some “alternative” treatments but money was a concern. So they sought out doctors nearby who believed the same as they did — that cancer should be treated without western poisons. After a few weeks, they found their medical sanctuary and the treatments began. Carla seemed to be doing well on weekly intravenous hydrogen peroxide, Joe explained as we sat in my office. I swallowed and could feel the blood rushing from my face. 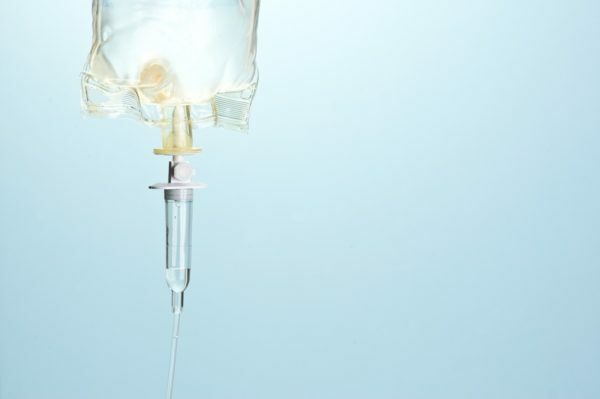 What kind of doctor treats cancer patients with injections of hydrogen peroxide? My heart sank. This is why I help families — vulnerable in so many way and at such critical times. Joe’s faith in the “treatment” and his disbelief in the outcome were profound. It was stomach cancer but Carla had been eating — maybe a little trouble swallowing but not much in the way of other symptoms. The tumor must not have been growing, he had concluded. The treatment was working. His older brother, Mark, was with us, nodding and supporting him, listening and asking questions. What went wrong? Joe wanted an autopsy to find out. It showed widely metastatic cancer. Outsized lymph nodes formed a slowly tightening noose around the esophagus; a destructive bio-lava of tumor pushed from the stomach into the pancreas; and metastatic growths nested insidiously throughout the liver. Remarkably, the gastric tumor had grown out and away from the stomach, not into the stomach itself. No wonder there wasn’t much in the way of swallowing or digestive symptoms. But this apparent health belied the tumor’s silent and dangerous growth nearby. When we met again to discuss the results of the autopsy, Joe was shocked. She had seemed to be doing so well. He was surprised that her tumor was so advanced. With diagrams and details, I went through the case step by step. He was stunned, but understood. And then he understood what this meant — that the treatment had not worked. And then he understood the inevitable — that he had participated in the choice of treatment. “Did we do the right thing? Should we have gone with chemotherapy?” he asked, wrestling with guilt as so many families do. I sorted through the question, looking for a way in to help. It wasn’t my judgment to pass. Gastric cancers do not respond well to chemotherapy. Choices at the end of life are important and personal. But he had said “we” and Carla had really made the choice herself with Joe supporting her — it really hadn’t been his decision. She had been adamant. Maybe I could point that out? And while Carla seemed to have driven the choice of “treatment,” it wasn’t clear to me how deep Joe’s mistrust of chemotherapy was. Many chemotherapies do work. Hodgkin’s lymphoma, for example, can be cured. I thought it could be worth exploring. What if Joe had such a choice to make again? What if that choice was for himself? Feeling protective of him, I thought I could explore it gently and carefully. Autopsies are about the truth and can be turning points for families. But his brother spoke first, injecting the only acceptable option he could see — that there could be no second guessing. “Of course you did. Of course you did,” he said, shooting a glance at me and touching his brother’s arm. It was an older brother’s protection. The dynamic here was powerful. “Yes,” Joe nodded, losing himself into his brother’s verbal embrace. I thought Joe could have handled more, and wondered where the conversation might have gone. I grimaced internally as I saw the opportunity dissolve. It was now too risky to start a discussion that could be misconstrued as “blame.” “Do no harm” — my physician oath ingrained — meant that I could not risk infusing guilt on top of grief. So I said nothing. It was the only acceptable option.